Ireland based tidal technology group, OpenHydro, a DCNS company, and its Canadian partner Emera Inc. have formally launched a new joint venture business, called Cape Sharp Tidal. The announcement was made at the fifth International Conference on Ocean Energy (ICOE), which is taking place 4-6th November in Halifax, Nova Scotia. The objective of Cape Sharp Tidal is to deploy a fully grid connected 4MW tidal array in the Bay of Fundy in 2015. 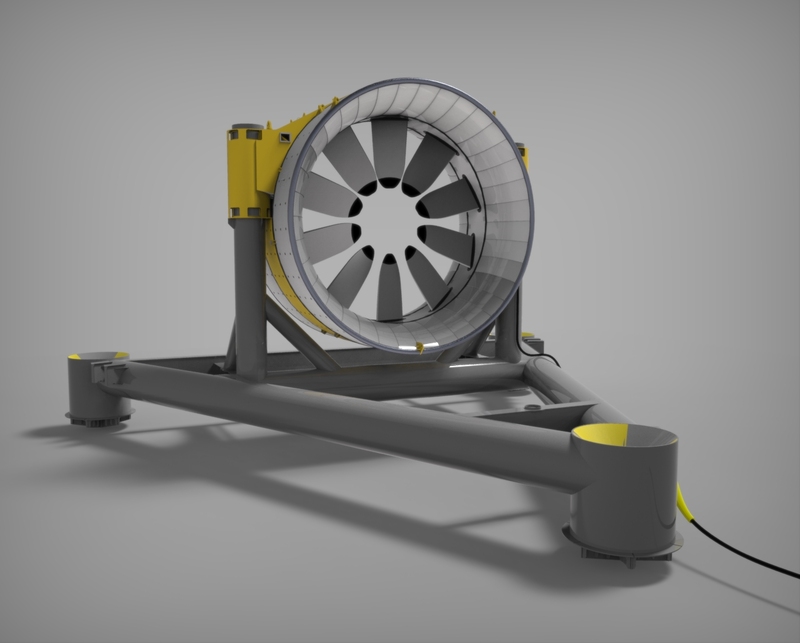 This project has the potential to be one of the world’s first multi-megawatt arrays of interconnected tidal turbines, providing energy to over 1,000 customers in Nova Scotia. Cape Sharp Tidal employs a local team of ten people based in Dartmouth, Nova Scotia. The turbines being deployed in the Bay of Fundy are the latest evolution of OpenHydro’s 16m, 2MW Open-Centre Turbines. They will be built locally in Dartmouth, Nova Scotia in partnership with Irving Shipbuilding, “Cape Sharp Tidal is committed to delivering a project in Nova Scotia, with Nova Scotian partners working together to create a tidal industry in the region,” said Jeremy Poste, Country Manager of OpenHydro Technology Canada. For more information, see www.openhydro.com.